I'm shopping for a new pipe for the first time in 5-6 years... WOW! Prices seem significantly higher than back then. I'm positive it's just market adjustment with inflation, etc. etc. Alan Brothers is an option in the lower hundreds, who else are you guys liking for quality/hand made but not break-the-bank? Hey Tim, the Christiano I got from you is probably one of the best pipes I've ever smoked; not that I smoke a lot. I use it for aromatics now but everything smokes wonderfully in it. Germain's Plum Cake is awesome in it! Paul's Pipe Shop has some in your price range, most for less. I'm relatively new to pipe smoking (couple years) so the pipes I've been buying are in the $300 and below range. This year I've commissioned pipes from Tim Harris and Rick Kopf (Rick Black Pipes) along with buying a couple Jake Hackert's. Those were all below $200. Paul Menard (Paul's Pipes) and Joe Case make some pretty nice pipes as well, but those can get into the $300 + range. For my next purchase I would like to find a Dunhill made in my birth year which will be the most expensive pipe to date for sure. I do not smoke enough to warrant that kind of cash for a pipe. I am simply looking for this ONE that I simply love. 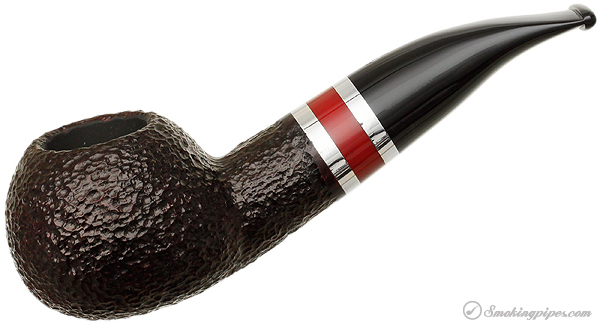 It is the 2013 Savinelli Saint Nicholas Author (#320). I see them from time to time, but the prices get crazy. There is a massive amount of craft pipe makers that are making very high quality pipes out of their garages/home shops. That's a great link, thanks! It's cool to see some of the real crafted at home pipes and I like that some of the guys have pics of themselves up, gives it a more social feel if you bought one of their pipes. If you don't have any qualms about estate pipes, check out smokingpipes.com. Estates are about 50 to 60% of new. Depends on condition. I have over two dozen from them and am pleased with every puchase. Good luck. I went and looked. I shouldn't have. I have a promotion coming up, so a bit of "treat yo self" is driving this shopping endeavor. That's the way I'm leaning, I've been coveting a CC for a long time and I love blasts, but his smooth pipes are among my favorites, $20 more for http://www.smokingpipes.com/pipes/ne...duct_id=173009 ? We is all bad influences brother! My wife drives me to it! I know both of the guys who run the sites and I even have a couple pipes listed on APM (363 pipes). Some other guys you might look into would be Warner Pipes, Briar Bird pipes, Thorpe Pipes, Joe Hinkle Pipes, or even Brandon Brookes. I know all of them as well and own some of their work.